Results of a new study on Antarctic seabirds shows a larger percentage of their populations inhabit important nesting sites around Ryder Bay, close to British Antarctic Survey's Rothera Station than previously thought. The study has also led to a call for protection of these important nesting sites and is published in the journal Polar Biology (20 November). British Antarctic Survey (BAS) scientists counted occupied skua and shag territories at 10 sites around Ryder Bay, including a new colony of shags discovered at the Mikkelsen Islands. In total they recorded close to 1000 occupied skua territories, 260 nonbreeding skuas and over 400 breeding pairs of Antarctic shags at Rothera Point and adjacent islands in Ryder Bay. Results show for the first time that populations in this area are well above the threshold adopted by BirdLife International for identifying Important Bird (and Biodiversity) Areas (IBAs) in Antarctica. This is set at 1 percent or more of the global population. Based on the new counts from this study, the south polar skuas and Antarctic shags breeding in Ryder Bay represent 10.3 and 3.5 percent of improved global population estimates. "Although the Antarctic region is often considered to be amongst the most pristine on the planet, its seabird populations have shown direct and indirect responses to climatic change. Our study highlights the global importance of the south polar skuas and Antarctic shags at Ryder Bay, providing context to the longer-term data on skuas collected from the small population close to Rothera Research Station. "Discovering that the birds breeding around Rothera represent such large proportions of the world populations of skuas and shags was entirely unexpected. As such, they clearly needed to be included within the list of BirdLife IBAs for the Antarctic region. This recognises their global importance, and should ensure that possible adverse impacts of any developments in the area are given careful consideration. It also highlights the need for on-going monitoring of bird populations to inform future management decisions." 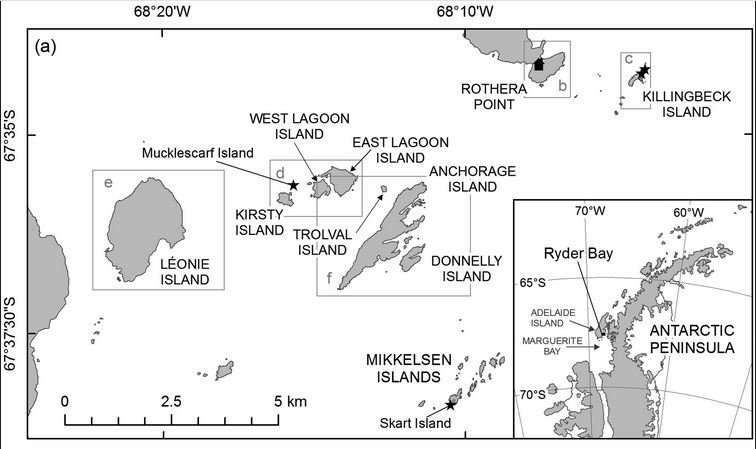 This summer BAS scientists submitted a proposal to the Antarctic Treaty Consultative Meeting to designate western Léonie Island, East Lagoon, Mucklescarf, Anchorage and Donnelly islands in Ryder Bay as a new Antarctic Specially Protected Area (ASPA). If agreed, access to the islands would be restricted, making the birds much less vulnerable to human disturbances. 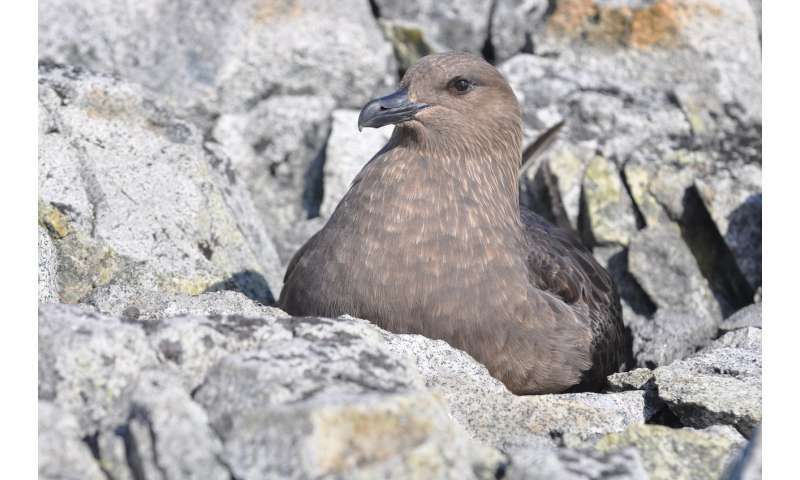 "This comprehensive population assessment highlights that our proposed ASPA will encompass approximately 80 percent of the south polar skuas and 62 percent of the Antarctic shags breeding within Ryder Bay. 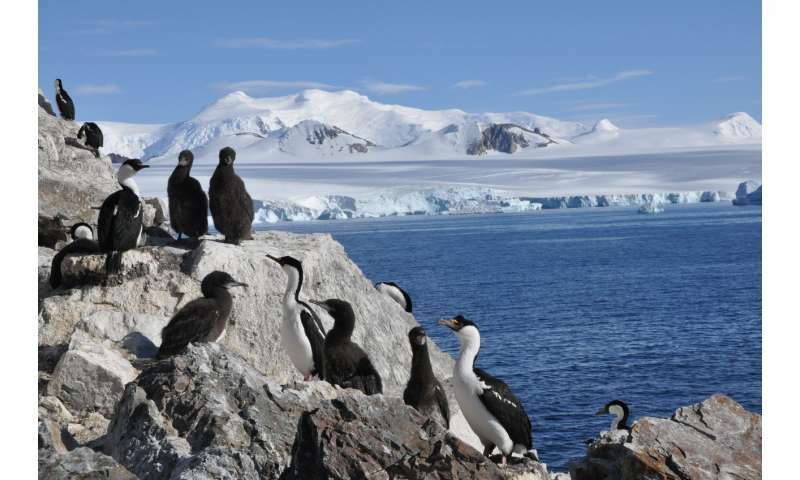 If the proposed protected area is agreed, it will ensure the long-term protection of these beautiful birds within this spectacular location, and add to the network of ASPAs that protect birdlife across Antarctica."